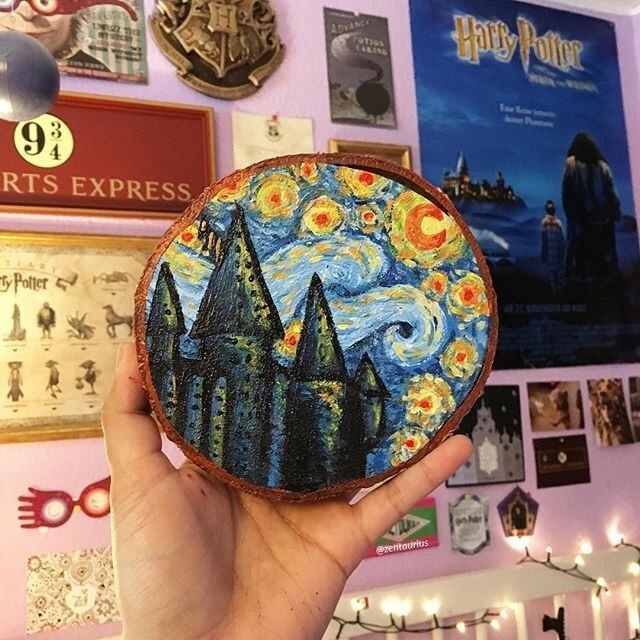 Starry Hogwarts, Inspired by something I saw on Pinterest <3 Done with Acrylic Paint on Wood. Hope you like it! !